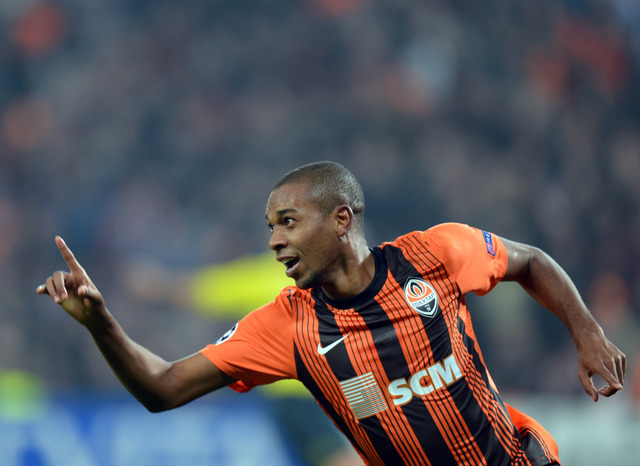 Shakhtar Donetsk midfielder Fernandinho is expected to be announced as a Manchester City player in the next few days after the clubs apparently agreed a deal worth £34 million. The Brazilian has been a long term target of City’s and was photographed leaving a hospital in Manchester in which the club normally conduct their medicals, so it looks like they have finally got their man. Fenandinho will be the second signing the club has made this week following the capture of winger Jesus Navas from Sevilla for £17 million. The club are clearly trying to strengthen the team to give Manuel Pellegrini, expected to sign as manager in the coming weeks, the best chance of wrestling the Premier League trophy back from their biggest rivals Manchester United. The 28-year-old midfielder had complained about his high valuation at the Ukrainian club and made no secrets about wanting to leave, with City his destination of choice. The transfer fee will have scared off most of the club’s looking to pry Fernandinho from his current employers but such is chairman Khaldoon Al Mubarak’s desperation for success in the blue half of Manchester.